Question: I have been using the same farrier for many years and I am very happy with him. And I still am, apart from one thing. For the last year or so, he has taken on some trainees and is letting them remove shoes, trim hooves and size new shoes. I have not seen them nailing on shoes, so I am not sure if he is letting them do that as well. Some people might not mind apprentices practice on their horses, but I do. Also, I am paying my farrier for HIS expertise, not the trainees. I do think it’s great for a farrier to give youngsters hands-on experience – they have to learn somehow. But I wish he had asked my permission before letting an untrained and unqualified person to work on my horses. Am I over-reacting? Should I ask my farrier to respect my wishes in this regard? Answer: I don’t think you’re over-reacting at all. As it is you who is paying the bill, I think you should have the choice to discuss your concerns about how the horses are shod and trimmed – or indeed, by whom. There’s no right or wrong in the situation only what does or doesn’t work for you. Your farrier might have taken for granted that you are comfortable with other people working on your horses under his supervision. Many of his other clients could be quite happy with the arrangement but if you’re not then you should voice your concerns quietly with the farrier. Some farriery businesses are geared towards having multiple farriers or apprentices and work as a team. For this to work effectively, things need to operate differently to a farrier who works alone. For example, the systems of who does what and when during the shoeing and also the time difference that it takes one man to do a job compared to a three man team. 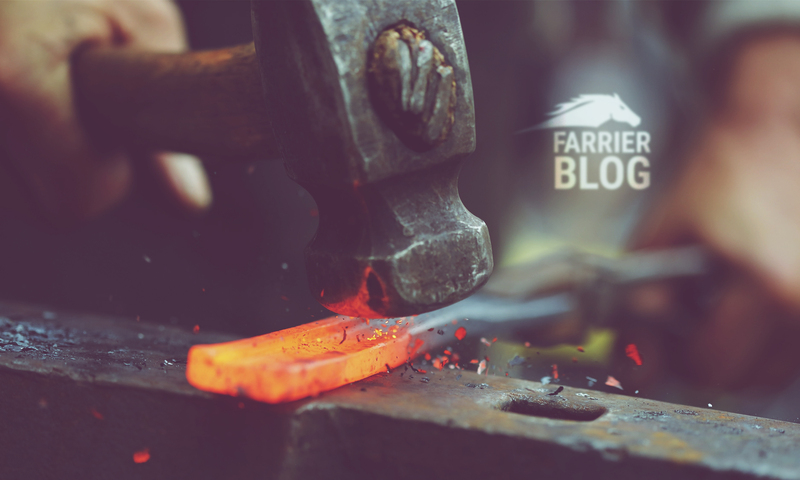 I’d recommend you discuss the situation and allow the farrier the opportunity to explain or to come up with a solution that works for everybody – including you. Of course, there’s always a small chance that the farrier might decide not having his apprentice helping no longer fits in with the way his business operates and you should be prepared for this too. I expect a carefully worded chat will help to sort out the problem and it could be, your farrier has heard similar concerns from other clients and has a good way to resolve the matter.